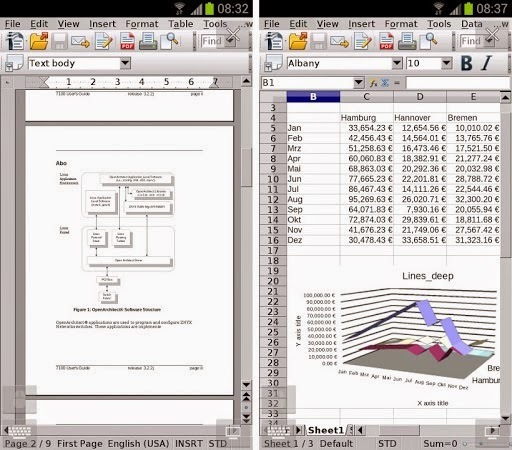 I have checked lot of office for android phone and tablet, like kingsoft, Officesuite, Office mobile, office365 etc. but some of them have less option and some need to work online. Here I got the one of the best office with full function’s option and you can work offline also. The AndrOpen Office, (AOO), this office has full option like Microsoft office for desktop PC and you can work in this office without internet connection. It is free and available in google play store. 2. 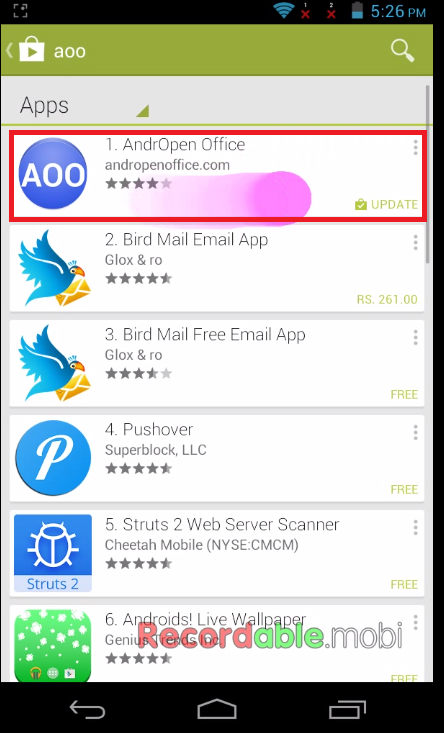 Type “AOO” and tap on search you will get first one “AndrOpen Office” just download and install in your device.